Aloha! This week the Lighthouse of the Week goes Hawai'ian with a profile of the Kilauea Point Lighthouse on the island of Kaua'i. Similar to lighthouses on the mainland, lighthouses in Hawai'i became necessary due to the needs of local business. Increased ship traffic to and from the Orient and the growth of Kauai's sugar plantations resulted in the improvement of lighted aids to navigation. After the US illegally took possession of the Hawaiian Islands from its people and monarchy (read 'To Steal a Kingdom' by Michael Dougherty), it established a new Lighthouse District in 1904 to address the needs of shipping. 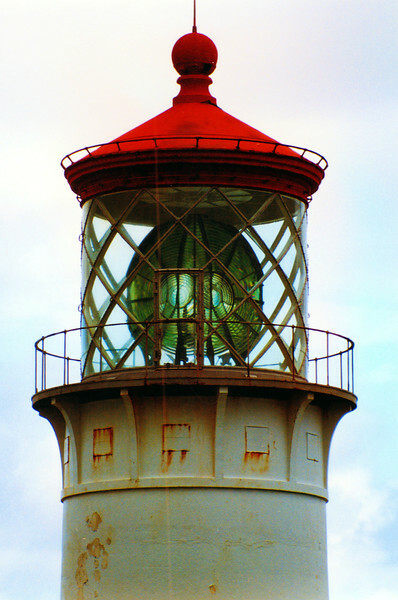 The Lighthouse Establishment recommended that a landfall light was needed for Kauai's north shore and in 1909 Bill H.R. 6147 was introduced into Congress for an appropriation.